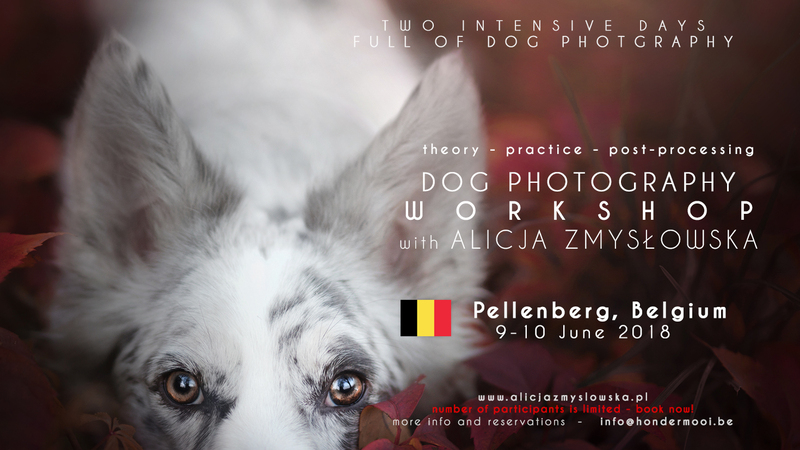 We provide Dog Photography Workshops – Theory&Practice&Post-Processing – Group (7-10 people) or Individual (one or maximum 2 participants). Our workshops are held in Polish or English language, we can organise a Workshop – Group or Individual all around the world. We always choose beautiful, unusual locations and a wide variety of amazing dog models, so we can create many different portraits and action shots. 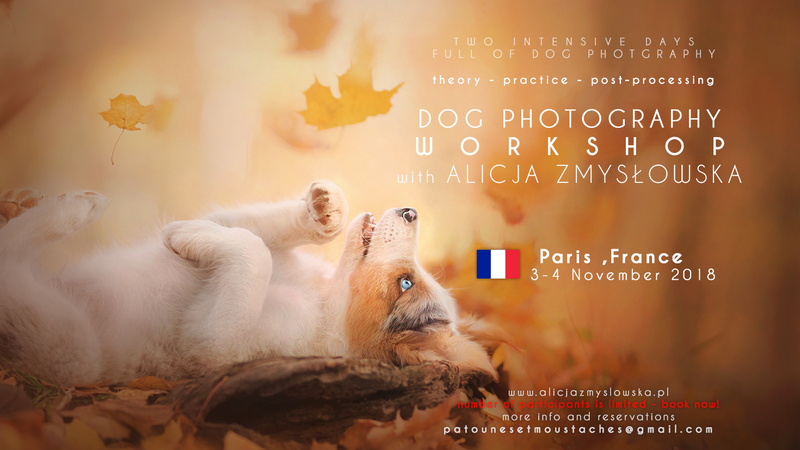 Artistic Dog Photography Workshop is a unique opportunity to get to know the secrets of my workflow and work under my supervision. The workshops include a theoretical lecture, which is associated not only with the shooting of dogs, practical part with shooting outdoors and post processing in Adobe Lightrooom. 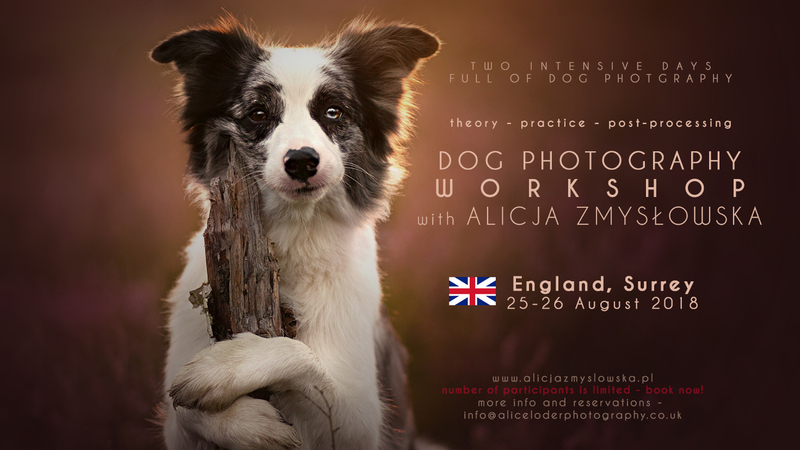 Group Workshops are suitable for everyone that would like to know more about dog photography. It fits to all different styles. 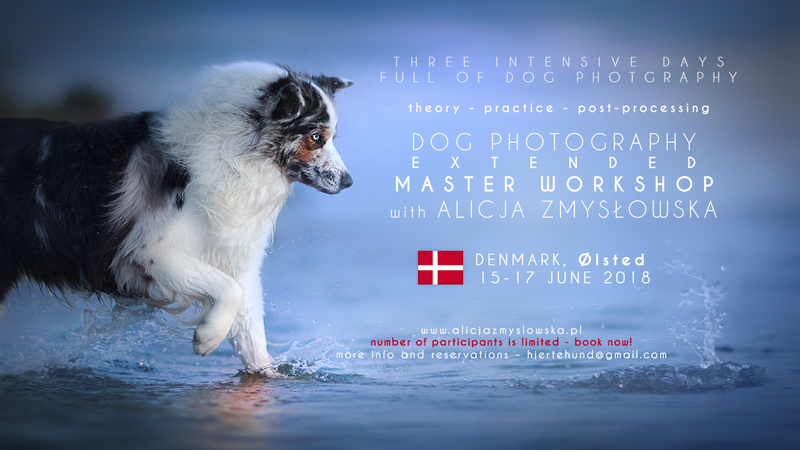 Send us an e-mail – zmyslowskaphotography@gmail.com – If you are interested in Group or Individual Dog Photography Workshop in your country or even your city! Plan of the individual workshop is adjusted to the participant – amateur, half-professional-professional, so also the price depends on what you want to learn! Prices begin from 200€. Our workshops had already taken part in cities in Poland, Czech Republic, Slovakia, Austria, Denmark, France and Norway. “Alicja is an exceptional photographer making unique photos. I have admired her photos for a long time. Therefore, it was great to be able to follow her workshop in Bergen this year. We had two nice days. The first day we had a photo session in the beautiful surroundings of the Hansa museum. The following day, Alicja taught us how she works with the photos in Lightroom. During these two days I´ve got a lot more experience shooting many different dogs, and I specially appreciated what I learned about retouching photos in Lightroom. 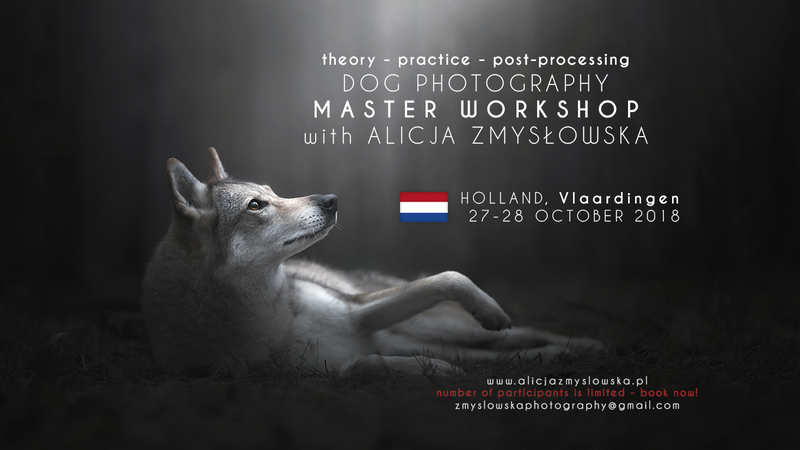 It was great to learn how Alicja works, and I got a lot of inspiration to work further with my photos.